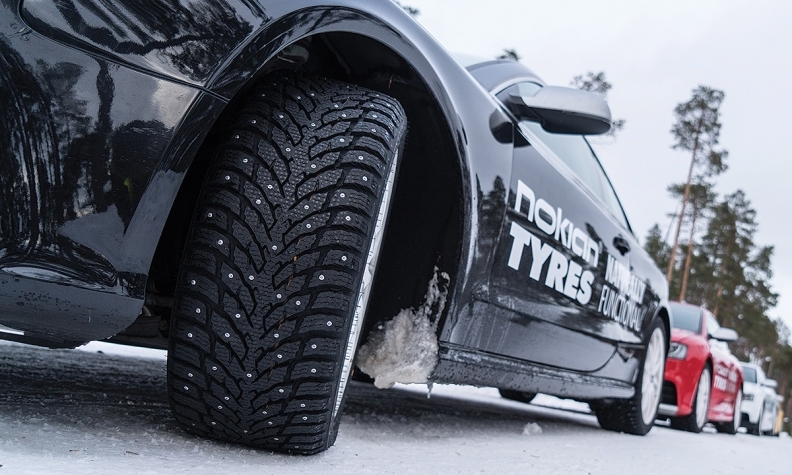 NOKIA, FINLAND — A Canadian agricultural invention widely considered a global Cinderella success story is a key ingredient in a new winter tire from Nokian Tyres, helping to give it better grip in snow and on glare ice. The rubber in Nokian’s latest-generation Hakkepeliitta range of tires is designed to be softer at colder temperatures, aided in large part by using canola oil in the construction. The oil being used isn’t from Canola in Canada where it has become a major Western crop, but canola wouldn’t exist without the work of two researchers at the University of Manitoba — Baldur Stefansson and Keith Downey — who bred the heart-healthy edible canola oilseed from inedible rapeseed. Nokian Tyres might not be the world’s biggest tire maker, but it claims to be the most profitable. Pontus Stenberg, vice-president of sales, said his company’s 1.5 billion Euro ($2.17 billion) in revenue lags well behind competitors who approach or exceed 20 billion Euro ($28.9 billion) in sales, but he said by focusing on its niche — performance in demanding conditions — the small Finnish company maintains margins that would make other companies blush. “We continue to be the world’s most profitable tire company, 22 per cent at minimum,” Stenberg told an assembled group of 30 Canadian tire dealers at Nokian’s headquarters in its namesake town. In a country such as Finland, Nokian has built business by fulfilling the need for winter tires, as well as tires for the forestry industry in which it has between 80 and 90 per cent market share. Nokian operates plants in Nokia and St. Petersburg, Russia, and recently opened a warehouse in Montreal. “Hopefully, one day we will have a plant in North America to service you better,” he said. Work is already under way studying the construction of another plant, perhaps in North America or central Europe. This fall, Nokian launches the latest in a line of winter tires dating back 81 years. The Hakkepeliitta 9 replaces the Hakkepeliitta 8, and in addition to canola in the rubber composition there’s new stud technology to improve grip during acceleration and braking on ice, while reducing noise and wear to road surfaces.